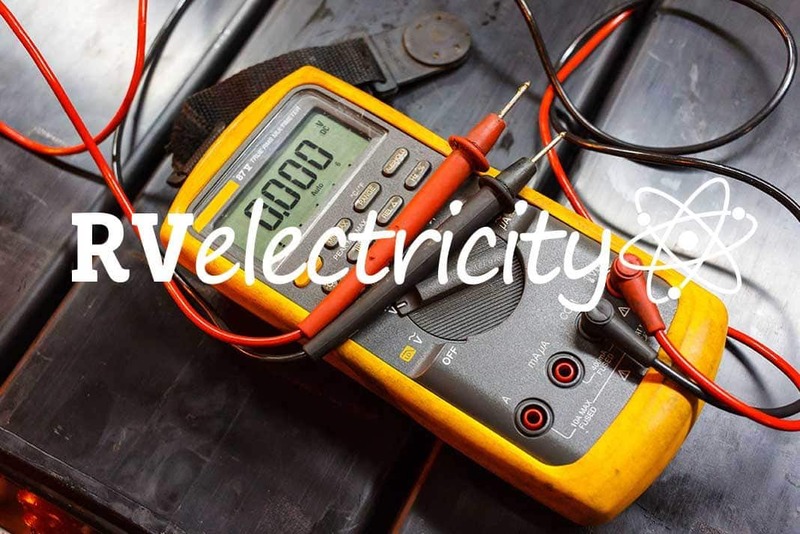 As many of you know by now, I just started an RV Electricity Group on Facebook a few days ago, and already have more than 800 members (you can join it HERE). So I’m getting lots of interesting questions that I can answer more at length in my weekly articles. I recently wrote a post about the line of Tesla charging stations I saw in Live Oak, FL, on my way back from the RVillage Rally 2.0, and received some interesting questions about what kind of dogbone adapter would be needed to connect your RV to a Tesla charging station. After all, the theory goes, since Tesla supplied a special charging cable for their electric cars that would plug into an RV campground pedestal, shouldn’t the reverse work? Does anyone sell a dogbone adapter that will go from the NEMA 6-50 outlet feeding an electric car charger to the NEMA 14-50 shore power connector on an RV? The answer is while that sort of adapter cable does indeed exist, NO you DO NOT want to connect your RV to a Tesla charger (or any other electric car charger for that matter). Doing so can risk extensive damage to your RV as well as the charging station circuit. Here’s why: As you all should know by now, the 50-amp shore power connection for an RV is a 4-wire circuit, consisting of 2 hots, 1 neutral and 1 ground wire. And while it does indeed measure 240 volts between the 2 hot lines, the neutral wire is what allows you to derive a pair of 120-volt circuits. That’s because virtually everything in an RV (except for some of the largest coaches) uses 120 volts. The neutral wire is the only thing equally dividing the incoming 240 volts into 120/120 volts for the two 50-amp circuits. Lose the neutral and the 240 volts feeding the pedestal no longer divides into equal 120-volt legs. It can go as crazy as 200 volts on one leg with 40 volts on the other leg. Not good for your electronics! Because electric cars use only 240 volts for their fast chargers, the manufacturers don’t have to bother running a neutral wire and generally use a NEMA 6-50 outlet for power. This is how most fast electric car chargers work (until you get into the 480-volt/3-phase versions). That saves money and space, and is perfectly safe for 240-volt-only circuits. However, you can indeed buy an adapter cable that will allow you to plug your RV’s 50-amp shore power connector (a NEMA 14-50) into what’s basically a welding outlet (a NEMA 6-50) that’s been installed for a fast-charging station. And while this may seem to work properly at low amperage, if you pull appreciable current the smaller gauge ground wire in the branch circuit can be damaged. 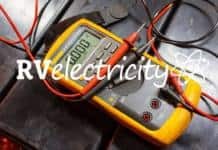 What’s happening is the neutral current (which can reach up to a full 50 amperes) is improperly returning into the ground wire (officially called the EGC or Equipment Grounding Conductor). That can actually overheat and damage the ground connections for not only that outlet, but other outlets in the area as well. And that’s why using the ground wire for neutral currents is a code violation. The EGC ground is only there to create a fault-current path to the service panel’s Neutral/Ground bonding point in the event of a short circuit somewhere, not be a replacement for the neutral conductor. So YES, you can plug your Tesla into a campground pedestal’s 50-amp outlet. But NO, you can’t plug your RV into a Tesla (or any other manufacturer’s) fast charging station. It’s a code violation and dangerous to try. So just don’t do it! I’d drop the picture of the Tesla supercharger stations in your article if I were you, as they are high voltage DC and it would be extremely unfortunate if someone were to plug an RV into a high voltage/high current DC source. Exactly, Tesla superchargers are 480v DC at 120kw… Or 250kw for the version 3 ones. You definitely DO NOT want to hook this up to your RV. Thankfully they communicate with the car before delivering any electricity, so they won’t deliver any energy at all to a non-Tesla vehicle.